Today’s rustic bohemian engagement shoot perfectly captures the magic of California in the spring! The usually golden hills are still a rich green with a dusting of wildflowers and coastal mist adding a fairy tale touch. This gorgeously styled shoot from Taralynn Lawton Photography and Sarah Park Events captures the love story of Brenden and Chelsea with elegant organic details in fresh spring green and white. 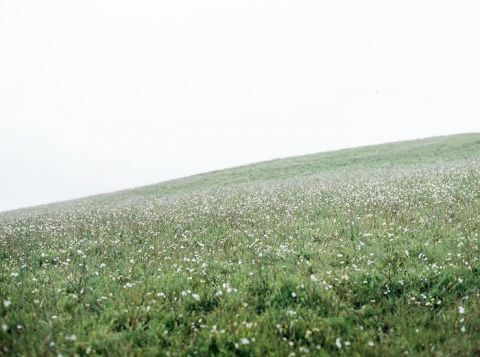 The endless meadows of Toluma Farms were lost in the misty horizon of the Marin Headlands, creating the illusion that Brenden and Chelsea existed in a world of their own. Chelsea’s ethereal chiffon gown fluttered in the breeze rolling the famed California fog off the coast – the elegant Claire Pettibone A-line dress captured the romance of the day while feeling perfectly suited to the rustic surroundings. The deep V back and off the shoulder straps added the perfect hint of boho bridal chic to the effortless style, especially paired with loose waves and flowers woven into her hair. 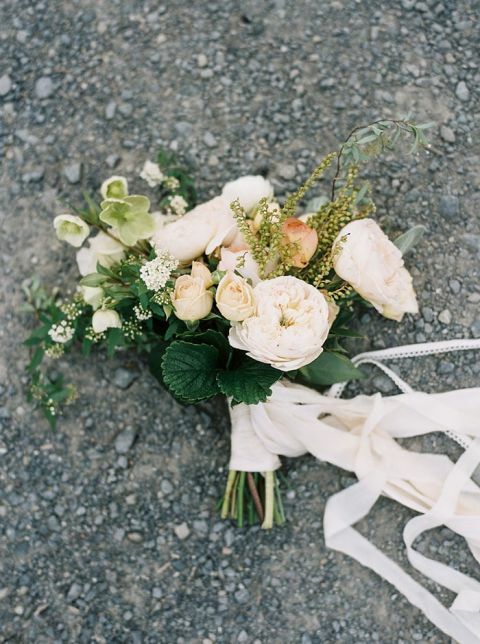 Wilder Floral Co added a delicate wash of color to the spring backdrop with a peach and ivory bouquet of garden roses, peonies, and delicate hellebore blossoms. 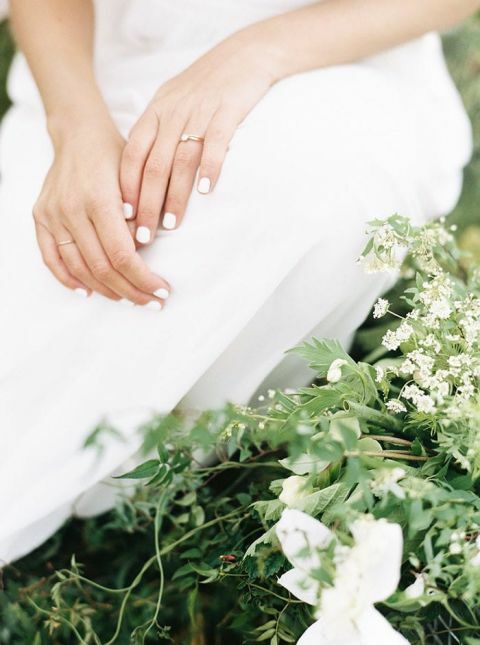 This could not be a more dreamy start to a couple’s wedding story!